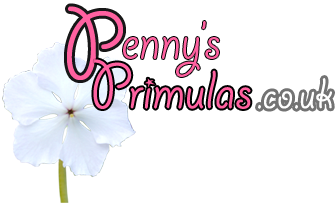 Penny’s Primulas is a trading name for Staddon Farm Nurseries. The nursery is a small family run business, established in 1996. Penny and Melvyn will be your key contacts for processing your orders. Our North Devon nursery is not generally open to the public, but if you email us with a request, we will try to find a time for you to visit. In Autumn 2013, Staddon Farm Nurseries was awarded National Collection status for Primula sieboldii Japanese cvs., by Plant Heritage, a UK charity whose aim is to preserve the diversity of garden plants in the British Isles.